Mike Ananny is an Associate Professor at USC's Annenberg School for Communication and Journalism where he researches the public significance of systems for networked journalism. Specifically, he studies how institutional, social, technological, and normative forces both shape and reflect the design of the online press and a public right to hear. For the 2018-19 academic year he is a Berggruen Institute Fellow at Stanford's Center for Advanced Study in the Behavioral Sciences (CASBS). He is also an Affiliated Faculty with USC's Science, Technology and Society research cluster, and a past Faculty Associate with Harvard's Berkman Center for Internet & Society. 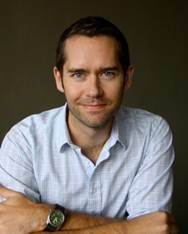 He holds a PhD from Stanford University's Department of Communication (advised by Theodore L. Glasser), a Masters from the MIT Media Laboratory (advised by Justine Cassell and Hiroshi Ishii), and a Bachelors from the University of Toronto (double major in Computer Science and Human Biology, advised by Ronald Baecker). He was a founding member of the research staff at Media Lab Europe, a founding member of Expresto Software Corp, and a Postdoctoral Researcher at Microsoft Research's Social Media Collective. He has held fellowships and scholarships with Harvard's Berkman Center for Internet & Society, Stanford's Center on Philanthropy and Civil Society, the Pierre Elliott Trudeau Foundation, the LEGO Corporation, Interval Research, and has worked or consulted with LEGO, Mattel and Nortel Networks, helping to generate research concepts and prototypes for new product lines and services. Ananny has led several public-private learning and design partnerships with the BBC, University of Tampere, Amsterdam Computer Clubhouse, Loyalist College Canada, The Ark Children's Cultural Centre. He was principal investigator on European Union grant proposals and has licensed his custom software to Trinity College Dublin for classroom use. He has a background in new media and technology design, creating both technological toys for children's language acquisition as well as large-scale, interactive projections in Dublin, Northern Ireland and Amsterdam for people to communicate publicly through SMS text messaging. He has published in a variety of venues including Science, Technology, and Human Values; Social Media + Society; Critical Studies in Media Communication; International Journal of Communication; New Media & Society; Digital Journalism; Journal of Computer-Mediated Communication; First Monday; American Behavioral Scientist; Television & New Media; and the proceedings of the ACM’s conferences on Computer-Human Interaction and Computer Supported Collaborative Learning. He is writing a book on press freedom in an age of networked journalism (under contract with MIT Press). 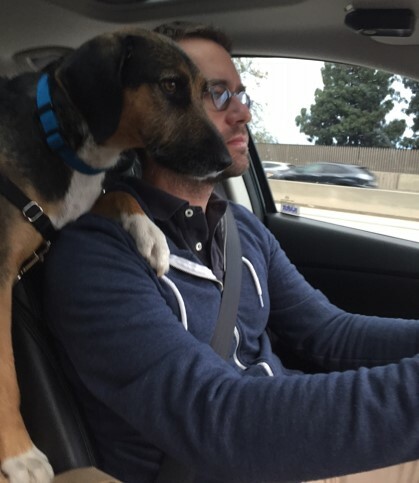 On a personal note, Mike grew up on various Canadian air force bases, has a background and ongoing interest in toy design, and is always on the verge of getting a dog has an amazing dog who helps him drive.